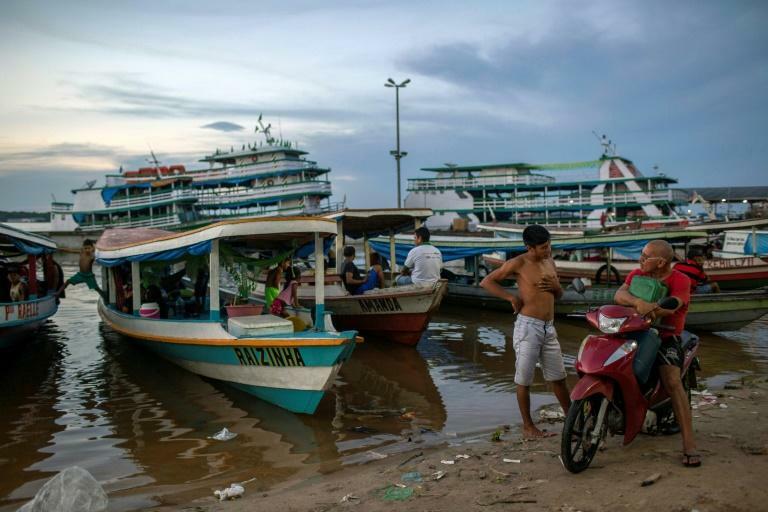 To get around town, the 60,000 people of Tefe -- in the heart of Brazil's Amazon -- hop into boats. Even the outside world is only reachable by water or air. Situated around 500 kilometers (310 miles) west of the jungle city of Manaus, capital of Amazonas state, Tefe is the last outpost of civilization for scientists working at the Mamiraua Sustainable Development Reserve. There are two options to get here: by air, on a 50-minute flight from Manaus to the small local airstrip; or by river, a three-day boat ride. All goods come in through the river network, from fruit and furniture to television antennas. "It's not a good idea to have a car. To get around town, the river is the only way," said Joao, 65, who pilots one the dozens of motorboats known as "fliers" that criss-cross town. Each one carries six to eight people, who must get in and out carefully to avoid tipping the boats over. A ride within town limits costs one real (26 cents). But leaving Tefe is another matter. 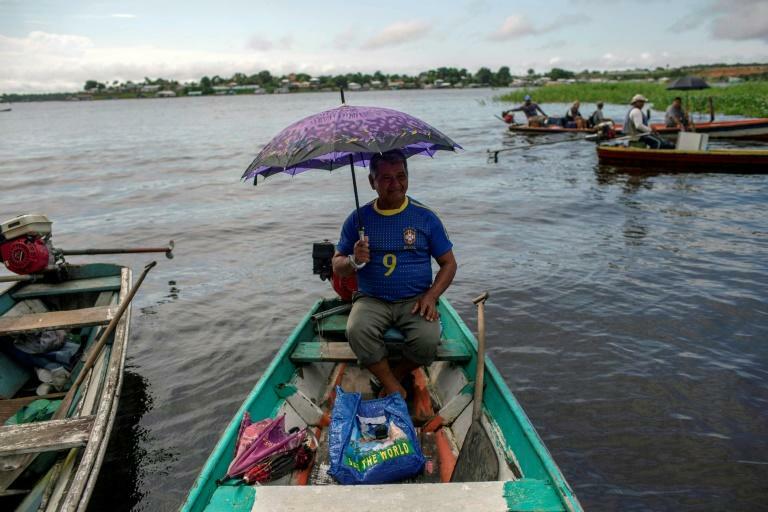 "For that, everyone has their own boat, even if it has a homemade motor," said Joao, holding a parasol in his hand to protect his passengers from the hot sun. His "flier," with its engine taken from a motorbike, fits five passengers. The buzz of boat engines mixes with the cries of street vendors flogging DVDs or acai, a local fruit, to create a sort of soundtrack for the town. The local electricity station runs on expensive, polluting diesel fuel shipped in from Manaus. Internet access comes via satellite link. The Mamiraua Institute shares a connection of barely six megabytes among its 300 workers in Tefe and in the floating houses that serve as research centers and residences in the middle of the reserve, which covers 1.124 million hectares (2.8 million acres).